Dubai: Given the transient nature of the majority of its population, Dubai has always been a predominantly tenant market. Most people share the view that, since they won’t be staying in the emirate for good, renting a flat or a bed space is a more practical and budget-friendly option. However, times are changing. More and more people are entertaining the idea of owning a flat or villa in Dubai. And these interested tenants aren’t just the ones in the high-income bracket, they include those earning as low as Dh8,000 a month. It is the availability of affordable housing projects that is nudging more tenants towards home ownership. Besides, residents are realizing that spending about Dh40,000 to Dh150,000 a year or more on rent is already lot of money that buying a home is making more sense. There are also expectations that today’s low rents won’t last very long and that house prices will again skyrocket. Jessica Horie, senior director at Prestige Real Estate confirmed that the number of customers, including those from the low-income bracket, who have expressed interest in investing in Dubai realty has increased recently compared to the first few months of the year. “I would say this is due to the general consensus that we are at the lowest level of pricing and that the market will soon recover and prices of property will start to increase again,” she said. Recent figures collated by compareit4me.com also showed that enquiries into mortgages have been steadily rising across all income brackets, with exceptional growth seen in March and April. 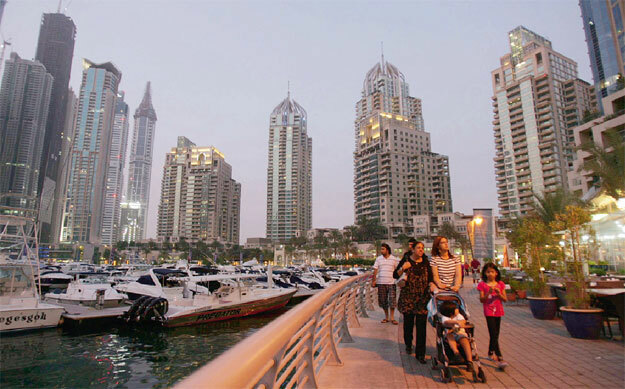 Interestingly, most of those showing interest in mortgages are UAE residents earning between Dh8,000 and Dh19,999. “When compared against the average number of enquiries of the previous 22 months, enquiries from people earning between Dh8,000 and dh11,999” tripled in March and April,” according to the company. Similarly, the number of mortgage enquiries from those with take-home pay of between Dh12,000 and Dh14,999 a month increased by 240 per cent in March and 260 per cent in April. Queries from the Dh15,000 to Dh19,999 income bracket also posted an increase of 96 per cent in March and 150 per cent in April. “The situation [in the property market] has taken another turn, as often happens when property prices crash. UAE residents are wondering whether it might be a good time to invest, while they can capitalise on the current low prices,” says Jon Richards, CEO of compareit4me.com. “Interestingly, the specific salary brackets that have shown the most growth are those earning between Dh8,000 and Dh19,999,” said the company. When compared against the average number of enquiries of the previous 22 months, enquiries from people earning between AED8,000 and AED11,999 tripled in March and April.